Two journalists have left a regional daily and around 19 staff are set to leave a sister weekly in cutbacks at the newspapers. The Southern Daily’s Echo’s sports editor Simon Carter has been made redundant along with one general content manager in the latest cuts to be confirmed by regional publisher Newsquest. 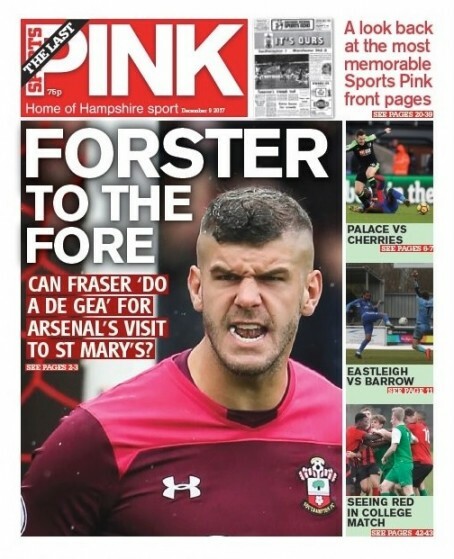 The loss of the sports editor role coincides with the closure earlier this month of its Saturday sports edition the Sports Pink, which ceased publication after 119 years. In addition HTFP understands around 19 jobs are expected to go at the Isle of Wight County Press, which was purchased by Newsquest in the summer and is now part of the company’s Hampshire and Dorset division which also includes the Daily Echo. As previously reported by HTFP, Newsquest invited staff at the County Press to apply for voluntary redundancy scheme last month. It is understood that around 19 staff have been successful in their applications – including 13 members of its advertising production department. Over the past month, Newsquest has made a series of job loss announcements at other publishing centres including Blackburn, Bolton, Bradford, Gloucestershire, Oxford, Wiltshire and York, with a total of 36 editorial roles set to be lost. On Friday, National Union of Journalists members at the Swindon Advertiser, where five journalists are at risk of redundancy, announced they had voted to take industrial action over low pay. Newsquest has insisted the announcements are individual business decisions taken locally, rather than part of an ongoing group-wide programme of cutbacks. A spokesman for the company previously said: “We continue to look for ways to run our business more efficiently in order to ensure that our titles have a sustainable cost structure for the future. So a sports editor with many years’ experience, skills and knowledge is surplus to requirements? And the IWCP is going to be a shadow of its former self and will start carrying mainline copy before long, I’ll bet. This is no way to run any kind of business if you’re just prepared to get anyone, anywhere, off the payroll irrespective of the prospects for the quality of your products. I always used to give printed regional papers no more than five years. However, in a doomsday clock fashion, perhaps that should be revised to three, with this kind of clueless, short-term thinking. Yet more announcements of job cuts at Newsquest which let’s not forget apparently ISN’T a company wide brief to shed staff across the company in order to save runaway costs and off set commercial under performances, just local decisions made by local chiefs…..yeah right. It’s not just NewsQuest @onetimesub, with the CEOs boast of “ we will be the best regional media group in the uk by 2017” still ringing in our ears whenever the latest shocking sales and revenue performances are mentioned here, I’ll give it 12-18 months, at the current rate of copy sale losses and ongoing ad revenue shortfalls against high fixed costs, ailing daily and embarrassing weekly papers cannot continue to be propped up without cutbacks elsewhere within the business, with the situation so badly handled in the past there’s no way round it other than to shed costs and unfortunately that means staff, but never the ones whose short term thinking and complacency brought the industry to its knees in the first place. I can only wish those affected all the very best fur the future, at least they’ll have a head start on the others whil no doubt follow in due course. Such a tragedy for the Isle of Wight as yet another truly local newspaper is trashed by its new greedy-big-group owner. Of course former independent newspaper owners, often families with no-one willing to take on the business, have few options but to sell to larger concerns when the time comes. I just hope someone somewhere comes up with alternatives for those few remaining, such as local Community Interest Companies, non-profit models or even some kind of charitable trust. You’re right of course and It’s a sad state of affairs when the only glue holding the creaking ship together is a prime site in the city centre with the company having lost all other sustainable sources of revenue , However by the time a purchaser is found and the remaining staff ( those who won’t be remote workers by then) moved out,the financial situation and copy sales figures will have declined to such an extent that the company will have nothing of value to sell against. Serious mistakes, a complacent attitude and a lack of business judgement and foresight have brought once credible regional publishers to the point of no return as without paper sales, print ad revenues and with digital sites which are still failing to be monetised,what’s left other than to offload personnel in a last ditch attempt to reduce losses. On a positive note, 19 people want to leave the IOWCP and will get redundancy payments to start afresh. Good luck, you won’t regret being your own boss or working in a new challenge. Its amazing how enjoyable life is beyond the regional press.